The KeepBox : a designer box simple to use. Find out what's inside it! With its four USB ports, the Keepbox fits all your needs. You can upgrade the default 64Go of storage to several To just by pluging hard drives. The power needed by the Keepbox is nothing compared to a standard server. Instead of the usual 300W, 3.5W are enough for the KeepBox to work. The difference throughout the year matters for the planet and for your company. 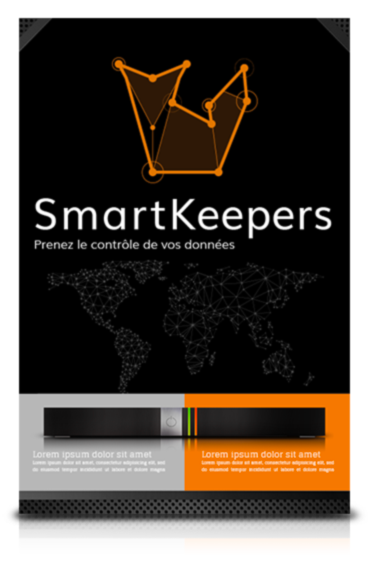 When you receive your Keepbox, you only have to connect it to the network and configure your domain name (like smartkeepers.com) to access all our features. You are ready to go in less than one hour.